Hugh Michael Jackman, is an Australian actor, singer, and producer. Jackman has won international recognition for his roles in a variety of film genres. He is known for his long-running role as Wolverine in the X-Men film series, as well as for his lead roles in films such as the romantic-comedy fantasy Kate & Leopold. In Broadway theatre, Jackman won a Tony Award for his role in The Boy from Oz. A four-time host of the Tony Awards themselves, he won an Emmy Award for one of these appearances. 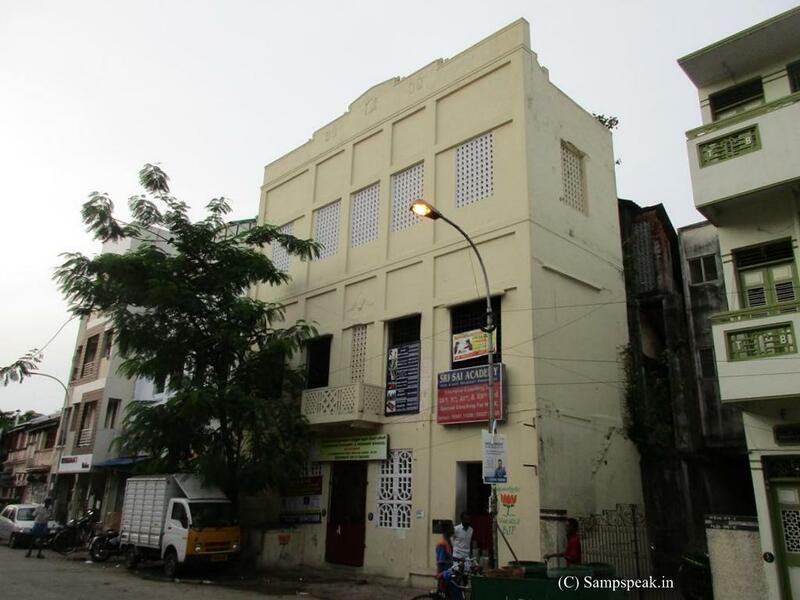 Of the four mada veethis of Thiruvallikkeni, the farthest is Singarachari Street – one could not miss this old building opp to Punjab National Bank ~ a school, “ Samarao School” ~ an elementary school in existence for perhaps 100 years or so! For most of us the first inspiration is the School Teacher – the one who changed the lives of so many of us. Today is the day to remember those great personalities who with such vigour provided us the most important thing in life the Education, the chance to learn. On 5th Sept, Teacher's Day is celebrated in India in honour of Dr Sarvepalli Radhakrishnan, who was born on September 5, 1888. Dr Radhakrishnan was India's second president and a great scholar, philosopher and Bharat Ratna recipient. Since 1962, India has commemorated his birth anniversary by paying tribute to its hardworking - and admittedly under-appreciated - teachers and gurus. Guru Vandana means “Reverence for the Teacher” – it is the thanksgiving from a student to a teacher, expressing his or her gratitude. Do you remember the Names and can you recollect the faces of your teachers at your Elementary school and in Secondary school .... have you ever met any of them after coming out of school. Can you recognise them and would you stop, spend time to pay reverence, if you are to have a chance meeting with them ? 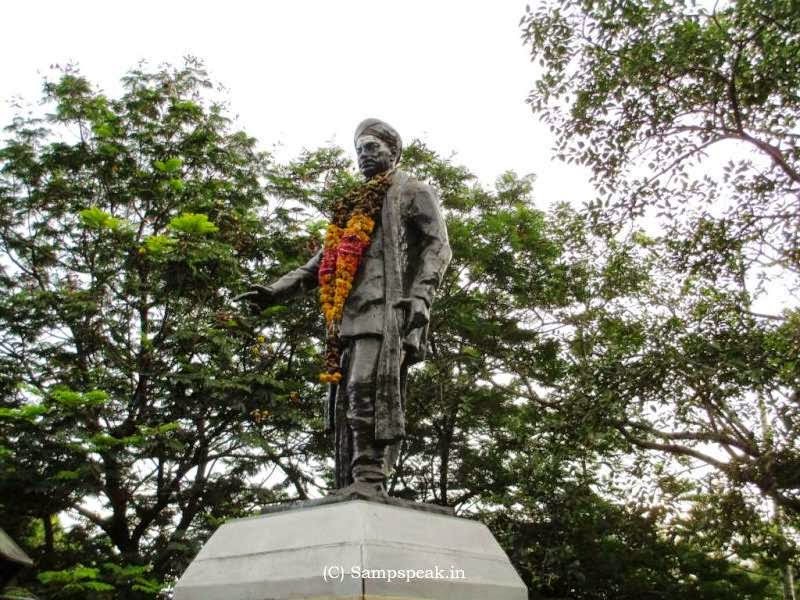 Those in Chennai – know well this road connecting Beach Road [Kamarajar Salai] from Gandhi statue to Gemini flyover [Anna Membalam] ……it is Dr. Radhakrishnan Salai, named after Dr Sarvepalli Radhakrishnan, who had strong association with Madras. As a mark of respect and to recognise teachers’ contribution towards the society, most countries celebrate Teachers’ Day. In India, we observe it on September 5, the day teacher and President Dr Sarvepalli Radhakrishnan Virswami was born. Born in a poor Brahmin family in South India in 1888, Dr Radhakrishnan rose to become one of the most influential thinkers of Modern India. He was a teacher of philosophy at the Madras Presidency College and was popular among his students. He was the first Vice-President of India and the second President of the country (1962-67). In April 1909, he was appointed to the Department of Philosophy at the Madras Presidency College. From 1936-39, he was the Spalding Professor of Eastern Religions and Ethics at Oxford University. The Great man is - Vandanam Olaganathan Chidambaram Pillai ~ more famous as VOC or Kappolottiya thamizhan, was born on 5th Sept 1872. His father was the eminent lawyer Ulaganathan Pillai in Ottapidaram, Tuticorin Dist. Like his father, he also became an advocate and often pleaded for the poor. His exemplary fighting qualities made him establish the “Swadeshi Steam Navigation Company” during Nov 1906 by purchasing two steamships ‘S.S.Gaelia’ and ‘S.S.Lawoe’. This indeed is an exemplary act when somebody can imagine the stringent measures and imperialistic attitude of the Britishers who crushed any such activity by brutal force. By running ships, he challenged the monopoly enjoyed by the British India Steam Navigation Company, formed in 1856. 5th Sept marks his 146th Birth day. I for one, am not for celebrating birth days of those persons who are no more. Still, today would remain a day worthy of remembering and recalling his commitment, strong will and sacrifice. The young generations of India should read his life as an example of resistance, strife, struggle, suffering and sacrifice. Nearer home, Indian shuttler PV Sindhu, a silver medallist at Olympics and World championship has turned into a film producer in order to pay tribute to her coach Pullela Gopichand on the occasion of Teacher's day. Sindhu has collaborated with Gatorade to co-produce the film "#IHateMyTeacher" to celebrate tough love, selflessness and sacrifice. The motto of the film is to raise a toast to the ones we love to hate. "Coach has worked relentlessly and has had big dreams for me. He is my faith replenisher. "This Teacher's Day, I dedicate all my success to him and urge everyone else to also honour the driving force in their lives. Let's hate our teachers for pushing us further and believing in us more than we believe in ourselves." The film will showcase the story of Sindhu as a young girl in search of a normal childhood and how her life was transformed by Gopichand, a formidable force responsible for her meteoric rise to success. Wolverine is a fictional character appearing in American comic books published by Marvel Comics, mostly in association with the X-Men. He is a mutant who possesses animal-keen senses, enhanced physical capabilities, powerful regenerative ability known as a healing factor, and three retractable bone claws in each hand. Wolverine has been depicted variously as a member of the X-Men, Alpha Flight, and the Avengers. Wolverine is typical of the many tough antiheroes that emerged in American popular culture after the Vietnam War; his willingness to use deadly force and his brooding nature became standard characteristics for comic book antiheroes by the end of the 1980s. Read that Hugh Jackman, the Hollywood actor whose most recent outing was in blockbuster Logan as the fierce Wolverine, was a teacher as well. The Australian actor, 48, served as a Physical Education teacher in 1987 before making it big in the world of glitz and glamour. 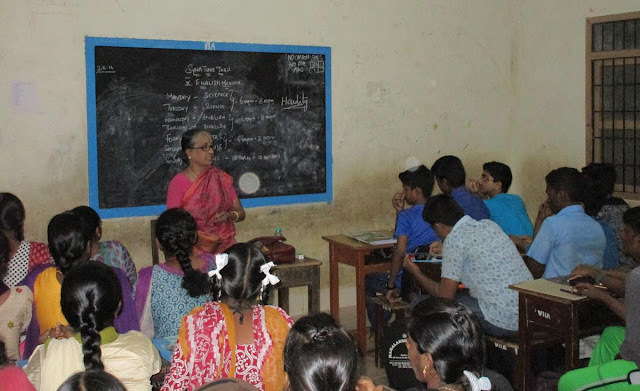 Paying tribute to teachers, here is a photo of class in progress at SYMA Tuition centre Growth, where every year we attempt to change to lives of more than100 poor children. …..